Because the work doesn't always stop at the curb. When the work takes you on the road, Cushman street-legal vehicles are ready to help you get the job done. 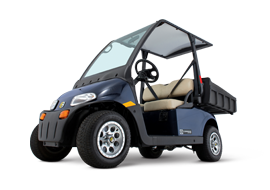 With a quiet, zero-emissions 48-volt AC electric drivetrain, a top speed of 25 mph, and features such as an automotive safety-glass windshield, three-point seat belts, four-wheel hydraulic disc brakes and DOT-rated radial tires, the Cushman LSV 800 is street-legal on most public roads with posted speed limits of 35 mph or less. So get in, buckle up, and take it to the streets. © Copyright 2015 NorCal Rental Group, LLC. All rights reserved.